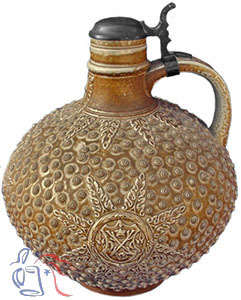 Stoneware, relief, 5.0L, pewter lid. This is an early 20th century interpretation of a Renaissance period form. 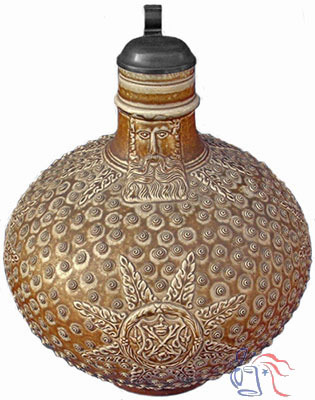 First introduced around 1550, bearded man jugs (Bartmannkrüge) feature the face of a bearded man at the neck representing the mythical woodland Wild Man of Germanic folklore, a symbol of strength and endurance.